Are you new to paintball and looking to learn more about it? Our insider’s guide to paintball will get you up to speed on everything you need to know about the game and Minnesota paintball in general. There are dozens of places to play paintball in Minnesota, but how do you know which paintball field is right for you? PbNation.com offers the most complete field and store listing on the internet. You’ll also find reviews of the fields and stores in their listing. Winters can be brutal in Minnesota and paintball is something that most people wouldn’t think about as a winter activity. However, paintball doesn’t have to be played outdoors. The Twin Cities are home to two of the best indoor paintball fields in Minnesota. Air Assault moved locations in 2014 to a new building in downtown St. Paul. 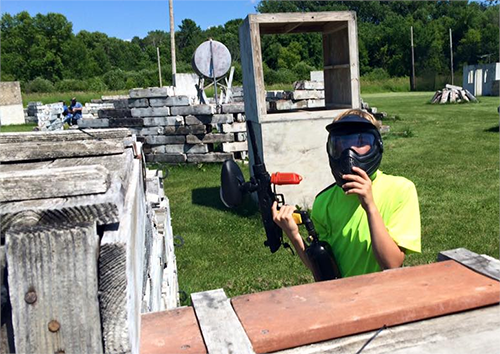 It is the newest indoor paintball field in Minnesota, boasting an 18,000 sq. ft. climate controlled playing field. Air Assault also features the largest paintball store in the Minneapolis area. Splatball is the oldest paintball field in Minnesota. The facility features a 15,000 sq. ft. playing field and party area. Splatball offers walk-on sessions on a daily basis. One of the things no insider’s guide would be complete without is a general breakdown of the types of paintball. 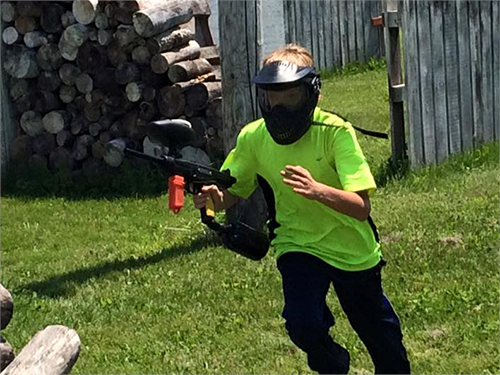 From the competitive to the tactical, there are paintball formats for nearly any interest. Chances are your first paintball experience was a paintball birthday party or bachelor party. This is considered recreational paintball. Matches typically last 10-20 minutes and teams are selected prior to the start of each match. 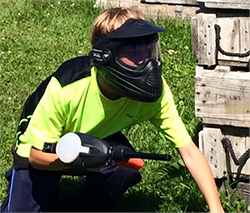 The natural progression from your first paintball experience is to try walk-on paintball. Walk-on paintball sessions are typically held on weekends. A walk-on session is a way for new players and small groups to play paintball with other players. If you’re interested in playing walk-on paintball, there are a few things to consider when looking for the right paintball field. First is the availability of paintball rental equipment, while most paintball fields in Minnesota offer rental equipment, there are a few that don’t. The next thing to consider is the format of the walk-on paintball session. Does the field use the newer low impact paintball format, or do they only offer the traditional format? The low impact format is best for new players. It’s an easier format to play and much less intimidating. You also won’t have to worry about more experienced playing with their own gear. Scenario paintball is a large format version of paintball. Hundreds of players are divided into two large teams that play on a field that is typically 50 – 100 acres (or larger) in size. The game lasts several hours or even an entire weekend. Teams are tasked with accomplishing a variety of missions including attack-and-defend or capturing a specific item. Eliminated players can re-enter the game. Tournament paintball is the sport version of paintball. Games are typically played on a mirrored field constructed out of inflatable bunkers. Teams sizes are usually 3 or 5 players, but there are also 7 and 10 player formats. In most paintball tournaments, players are ranked by the APPA and teams are broken down by division based on player rankings. Teams compete in a round-robin tournament format, with top team in the bracket advancing to the semi-finals round. The largest tournament series is the NXL, a national-level tournament series. The series also sanctions regional and local tournaments. Another important part of an insider’s guide to paintball is knowing the general paintball rules. The most important rules are the safety rules. There is a real risk of catastrophic eye injury, so paintball masks must be worn at all times when on the playing field. Barrel covers must be used whenever you’re not playing. Barrel covers are devices that will prevent an accidentally fired paintball from striking an unprotected player. The general game rules may vary from field-to-field. However, there are a few basic rules that are fairly universal. To eliminate a player, you must strike them with a paintball. The paintball must break and leave behind splatter to be considered an elimination. In recreational play there is typically a minimum engagement distance (usually 15 – 20 feet). If you encounter a player at a range closer than the minimum engagement distance, you must give them the option to surrender. The options for paintball equipment are numerous and are worthy of their own article. Our friends over at Paintball Minnesota have written their own insider’s guide to paintball equipment that’s well worth the read. It covers the basics on buying your first set of paintball gear.